I’m a huge proponent of subscription boxes as gifts. Why? If you know that someone is into something ie: basketball, paleo food, knitting, kittens, etc. There’s a subscription box for that. It’s great! You can give them a gift that keeps giving and brings new and exciting things monthly. It’s easy and pretty much guarantees successful gift-giving. 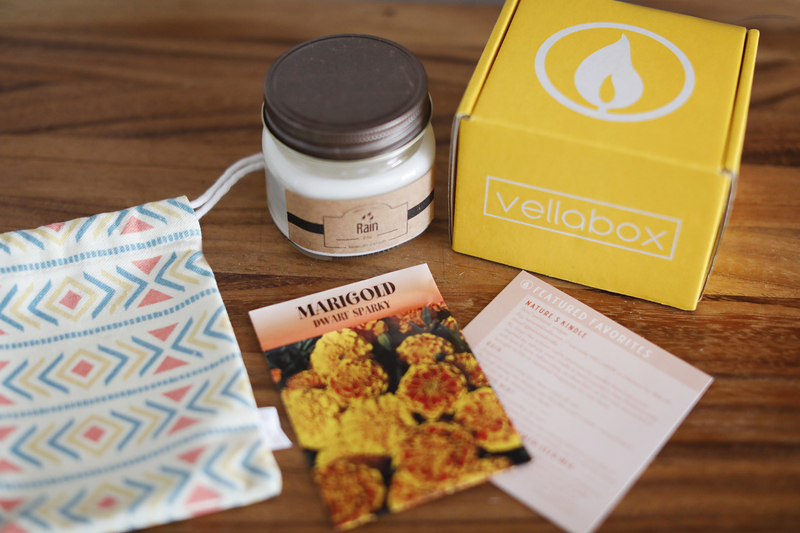 Vellabox is an amazing candle subscription box. Each box comes with one or more candles. There are three box sizes available on their website: Lucerna, Ignis, and Vivere. 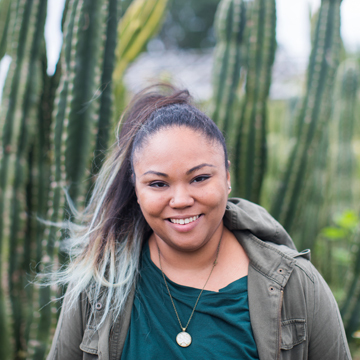 Their artisan candles always contain lead-free wicks, use phthalate-free fragrance oils, and are made of non-paraffin wax with none of the unhealthy ingredients found inside many other candles. The candles they use in their boxes are soy, coconut, or vegetable based waxes, so it’s a good choice for vegan gift-receivers. There is also special gift in the box each month that matches their team’s health-centric values. I’m so glad that they really care about what goes into the boxes. We only burn soy or beeswax candles in our house because I try to find healthier options for my family. In the box, I received the Rain candle from Nature’s Kindle. Each candle is soy and hand poured in their Portland studio. The fragrance has notes of crisp air, clean cotton, and rain. The bonus gift this month is a packet of Dwarf Marigold Flower Seed Mix. They’re a gorgeous flower and I’m really looking forward to planting mine! I love these boxes and they’re a great gift for a candle lover in your life. If you would like to see another Vellabox review, check out my other review here.